The legendary musician, composer, author and actress, Ginette Reynault was born on April 28, 1946, in Montreal, Quebec. Reno started singing from a very young age and even before she achieved stardom, those who listened to her clear and melodious voice, knew she would eventually become a famous personality. It wasn’t long before Reno was offered to appear on “Amateur Hour” which was a live music radio show in Montreal. She impressed the audiences with her apparent talent and then went on to win the prestigious amateur contest, “Les Découvertes de Jean Simon”. One of the perks of winning the contest was the contract to sing for three famous nightclubs in Montreal which included; Café Caprice, le Café de l’Est and Café Provincial. Upon seeing her daughter’s promising future, her mother got Jean Simon to become Reno’s personal manager. Simon played a huge part in transforming and molding Reno on her road to fame. One of the first things he told her to do was to shorten her name from Reynault to Reno, keeping in mind her international audiences. He then made her take singing classes as well as having dental correction done. He also put her on a strict diet and trained her to take care of her skin and appearance. 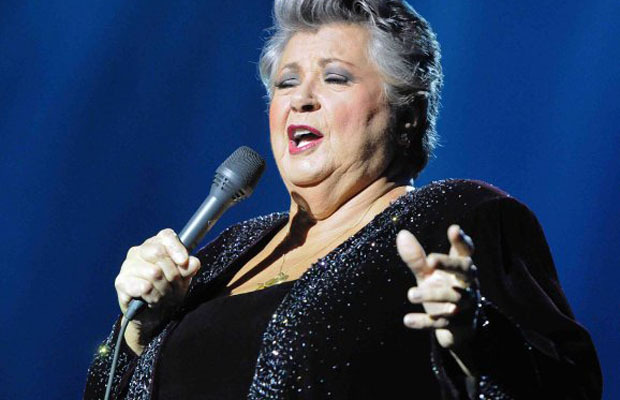 Ginette Reno was 16 when she released her first song, titled “J’aime Guy” which quickly became popular. She then released other tracks such as, “Non papa” and “Roger” which too were met with positive reviews. By then, her fame was spreading and she was being offered to appear on television. In 1965, she made her debut at Place des Arts in Montreal which was a phenomenal success. Her success soon reached international circles as she continued doing sold-out shows in not only Montreal and Toronto, but also in Los Angeles, New York, London and Paris, amongst many other cities. She has released songs both in French and English and has earned herself a spot as one of Canada’s gold and platinum selling musician. In 1970, she released the song, “Beautiful Second Hand Man” which was a colossal hit, taking a place at number 2 on the singles chart. Reno has released over 60 albums, most of which were met with mostly positive reviews. Apart from her music career, Ginette Reno is also known as an actress. In 1992, she was offered a role in in the movie, “Léolo”. She then appeared in the television movie, “Million Dollar Babies” and in 1997 starred in the series, “Une Voix en or”. Her acting talent became more pronounced with the movie, “C’t’à ton tour, Laura Cadieux” in 1998 which was such a big success that its sequel was soon made with Reno acting in it. Her work for the movies earned her nominations at the Genie Awards for “Best Actress”. Some of her more recent acting work includes, “Mambo Italiano” in 2003 and “Le secret de ma mère” in 2006 for which she got nominated for “Best Actress” at the Genie Awards. Ginette Reno has earned numerous awards and honors for her contribution and work in the entertainment industry. She was the recipient of the Juno Award in 1972 and 1973 for “Outstanding Performance”. In 1999, she earned herself the “Governor General’s Performing Arts Award” for lifetime achievement. She was inducted in Canada’s “Walk of Fame” in 2000 and in 2004 she was knighted with the “National Order of Quebec”.